OPEN FLAME PERMIT. IS IT REALLY REQUIRED FOR MY SMALL NYC RESTAURANT? GENERAL RULE: Yes. 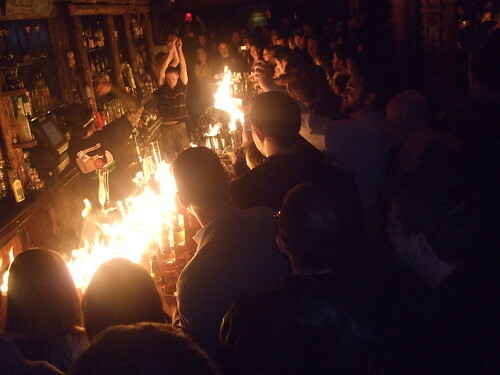 Bars, restaurants and other eating and drinking establishments with a lawful occupancy of less than 75 persons are regulated by the Fire Code as a “public gathering place” and do require an open flame permit for candles and sternos, amongst other combustible things. The regulations governing the use of open flames and Liquid Propane Gas (LPG) apply to eating and drinking establishments whether they are large enough to be classified as a place of assembly (75 or more people) or are regulated as a public gathering place. Among other things, the law regulates the preparation of flaming foods and beverages, and the use of candles and combustible liquids in tabletop lamps and other open-flame decorative devices; solid alcohol for food warming (Sternos); and charcoal for cooking in hibachis. Permits for open flames are issued by the Fire Department’s Bureau of Fire Prevention upon completion of a satisfactory inspection of the premises. Permits are normally issued for a period of one year and must be renewed upon expiration.